Crunch-It Dog Toy Simply insert an empty water bottle with tight cap. Makes a loud "crunching" noise when dog bites down. 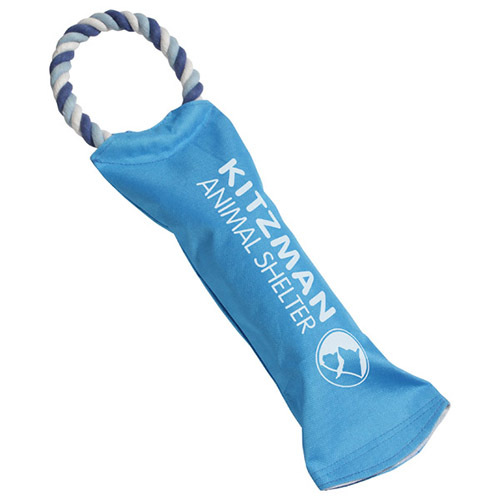 Heavy duty ring makes it a real tug-o-war with your dog. 17" x 5" x 2-1/2"
Bulk / 26 lbs / 200 pcs. / 24x14x15box. Imprint Area: 9" x 2.5"